Dear Friends of JATPjazz, with much sadness and regret I must inform you of the demise or our beloved founder, Brian Bicat who passed away suddenly on 22 September. Announcement has been delayed in deference to Brian's wife Kathleen's wishes and to allow Brian's family to assemble from abroad to deal with matters. Kathleen requests expressions of condolence and sympathies be confined to card or letter presently whilst she struggles to come to terms with this sudden loss.  In keeping with Brian's strong "show must go on" principle, Kathleen plans to return to JATPjazz for the 03 November gig, having found some solace in attending to JATPjazz matters since Brian's passing. Kathleen requests therefore that her return be as normal, quiet and low-key as is possible and asks that no fuss be made on that occasion. We plan at some point hence to hold a Bicat-Special in Brian's honour. Much detail is obviously to be added, however we broadly intend that this be a gig with Brian's favourite musicians, entry to which will be free, however there will be a "pay what you feel" arrangement, all proceeds of which will be donated to a charity of Kathleen's choice. The JATPjazz King is dead. Long live the King!